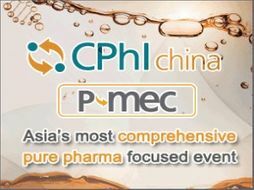 Taking place concurrently with P-MEC China at Shanghai New International Expo Centre (SNIEC), China during 18-20 June 2019, CPhI China 2019 will provide an opportunity to learn new things about the ever changing pharma and food markets. Together with P-MEC China, the two shows will be a ONE-STOP SHOP pharmaceutical platform in Asia. CPhI China is the main event in the pharmaceutical industry throughout Asia. It takes place once a year in Shanghai and is open to trade visitors only. As the sister of CPhI worldwide, which was founded in 1990 as an international chemical and pharmaceutical fair, the CPhI China has itself internationally established. It combines all the key suppliers and customers in the chemical and pharmaceutical industry. Exhibitors are required to take the possibilities at CPhI to meet potential new customers and partners and to strengthen existing relationships. However, new markets can be reached by the international presence. Organized by Shanghai UBM Sinoexpo International Exhibition Co., Ltd, CPhI China is the biggest pharma trade show brings together domestic and international buyers, manufacturers and suppliers of pharmaceutical ingredients in Asia. * Network with the leading pharmaceutical companies in China and wider Asian market - 3,022 companies were exhibiting in 2018!